Good running car. Has new brakes, recent tires, fresh oil change, and new battery. Has some rust but for $3k this Mazda is a great deal. NO CREDIT, NO PROBLEM - Titan offers financing for any type of credit. One Price NO HAGGLE pricing. Thousands below KBB fair market value. TRADES WELCOMED! 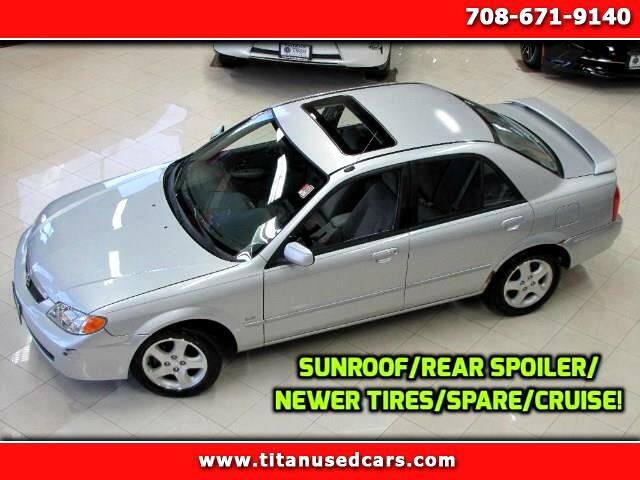 At Titan, we strive to sell the highest quality cars at the best possible price. Titan Auto Sales has an A+ BBB rating and hundreds of positive reviews. CALL TITAN TODAY - 708-671-9140 - TO FIND OUT WHY OUR CARS AND TRUCKS ARE THE BEST IN THE MARKET! Titan Auto Sales in Worth, IL serves the vehicle needs of Southwest Suburban Chicago. We offer all quality makes and models at the best possible price. Our finance department specializes in easy financing for ratings of all kinds: good, average, or bad credit. Trust our service facility at 11201 S. Harlem Ave. in Worth, IL to get your car, truck, or SUV into perfect shape! We pledge to provide outstanding customer service and a buying experience that is second to none. Come see why we've had thousands of satisfied customers! Please note that Titan Auto Sales sells pre-owned vehicles. Please expect each vehicle's condition to correspond to its year and/or mileage. Please do not assume that any terms such as "mint", "great", "excellent", etc.. are terms that are used to imply that a vehicle is new or like new. Further, do not assume that all maintenance has been performed, or that items of normal wear and tear have been replaced and/or reconditioned unless explicitly specified. Feedback must be left at the time of pickup of vehicle. No exceptions. Out of state buyers are responsible for all state, county, city taxes and fees, as well as title/registration fees in the state that the vehicle will be registered. Message: Thought you might be interested in this 2002 Mazda Protege.